Nashua, NH - 04. 18. 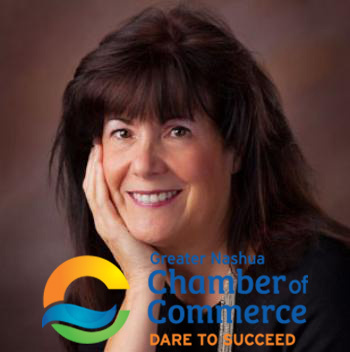 2019 - Berkshire Hathaway HomeServices Verani Realty is proud to announce that one of our amazing agents, Betsy Levesque, has been named Chair of the Board of Directors for the Great Nashua Chamber of Commerce. Not only is Levesque an accomplished and successful agent with Verani Realty, she is also a loyal and strong presence in the Nashua community. The Chamber of Commerce is recognized as non-partisan membership based organization that supports and promotes the success of the local and diverse business community through advocacy, building connections, and professional development. Nestled in Rockingham County lies Epping, New Hampshire. A small rural town originally part of Exeter, NH, one of the four original New Hampshire townships, but settled as their own town in 1741. 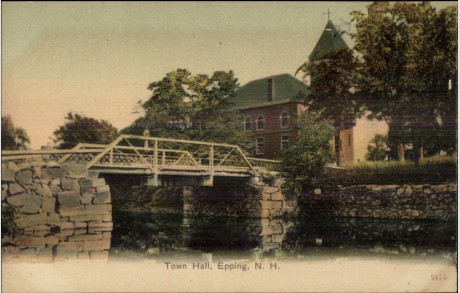 Once settled, Epping was named after Epping Forest, a suburb of London, England. With a population of approximately 7,000 residents, this town is a hot spot for a lot of young professionals and families to plant roots. 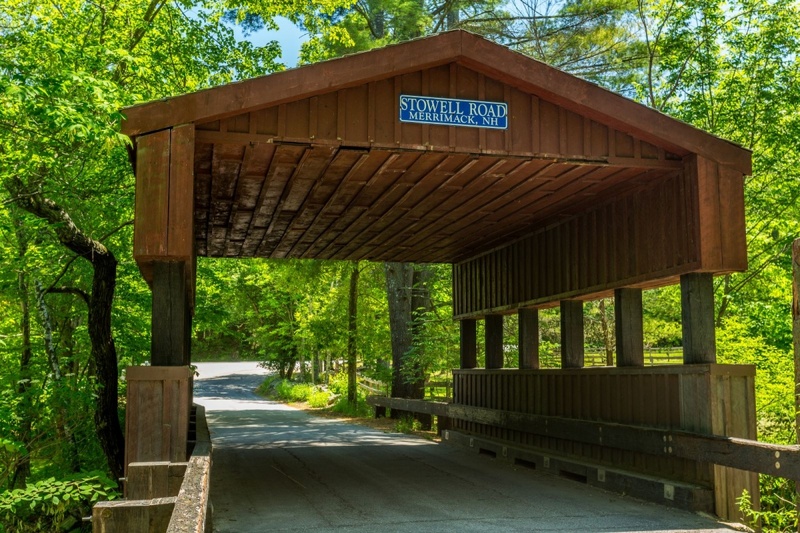 Located in Rockingham County, Exeter, New Hampshire offers suburban living with a short drive to the coast and Portsmouth, NH. This seacoast town provides residents a walkable and beautiful downtown with scenic views of the Squamscott River. With a diverse population around 15,000 people, young families, millennials, and seniors alike call Exeter, NH home. Lake Winnipesaukee, for residents it’s a favorite summer spot for tourists it’s a name they can’t even fathom trying to pronounce. But trust us, it’s worth the tongue twister - in fact, if that name doesn’t just roll off the tongue you can always shorten it to Lake Winni, all the locals do. Merrimack New Hampshire is a small suburban town situated in Hillsborough County in the southern region of New Hampshire. With a population of just under 26,000 residents, living in Merrimack, NH offers a suburban feel with a lot of surround amenities and attractions. With 87% of the town’s population owning their homes, this has been an increasingly popular location for individuals and families alike to put down roots. Homes in Merrimack have a median home price of approximately $290,000 making living in Merrimack New Hampshire a draw due to its affordability. In today’s society it’s easy to get buried by other’s opinions before being able to fully form your own, however you will not find that here. 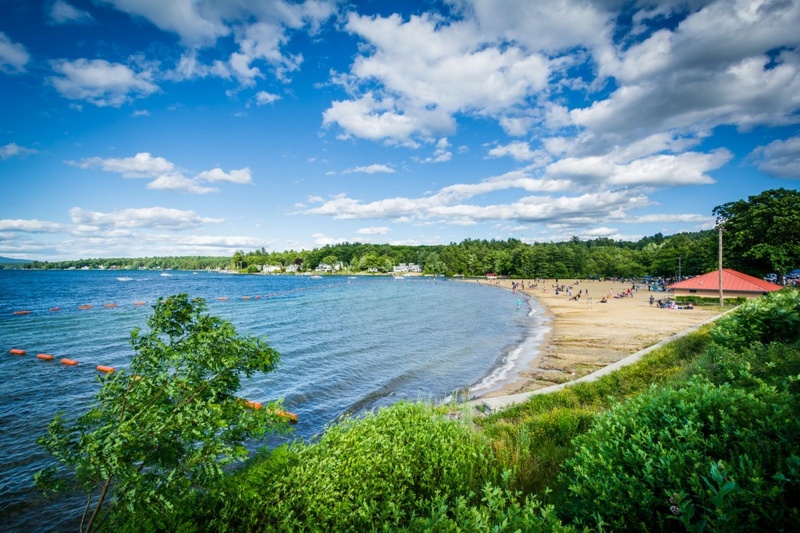 We promise to give you information, facts, pros, and cons to make sure you’re making the most informed decision about packing your bags and moving to the 603. 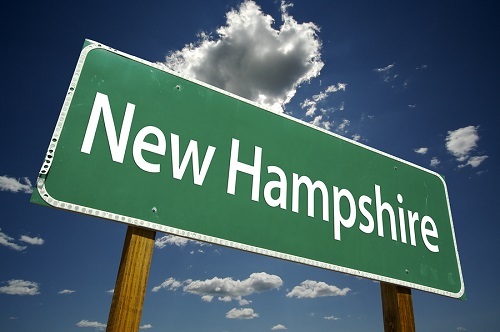 When asking if New Hampshire is a good place to live, we took multiple factors into consideration, so if you’re ready, read on! Londonderry, NH - 03. 11. 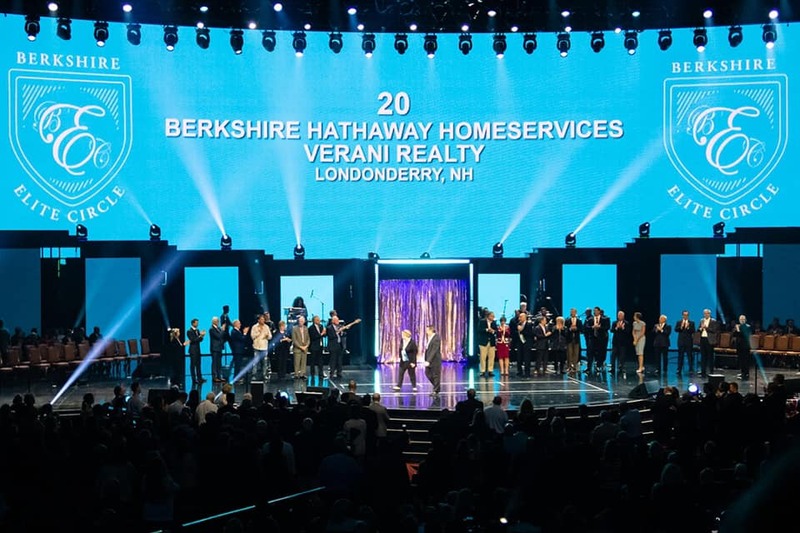 2019 - Verani Realty was named the #20 brokerage in the BHH Affiliates network on March 11th at the 2019 Berkshire Hathaway HomeServices Sales Convention in Las Vegas, Nevada. The BHH Affiliates network consists of 314 franchisees across the the United States, United Kingdom, Germany, and Italy. Verani Realty was presented with the Elite Circle Award at a ceremony at the sales convention. Margherita Verani, CEO, and Giovanni Verani, President, were in attendance to accept the award on stage. 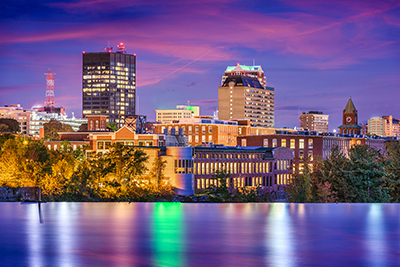 New Hampshire’s most populated city, Manchester, has rapidly grown in popularity in recent years. A city with a rich history dating back to the early settlers, this old mill town has blossomed into a developed and urban hot spot. This up and coming modern city has built its unique history right into it - preserving the old mill buildings and showcasing the city’s past in multiple museums such as the Manchester Millyard Museum. 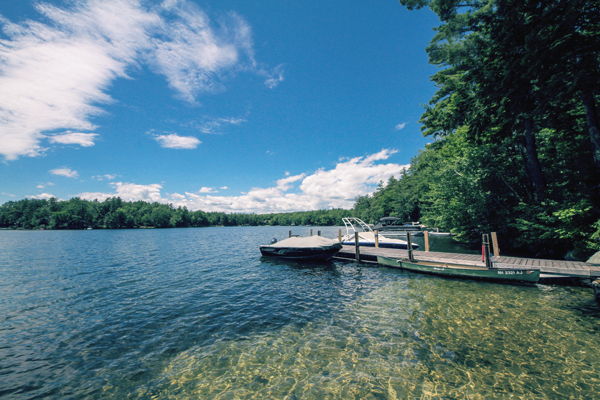 New Castle, New Hampshire is arguably the Granite State’s quintessential summer spot. Located entirely on islands, this beautiful ocean side town is rapidly growing in popularity. 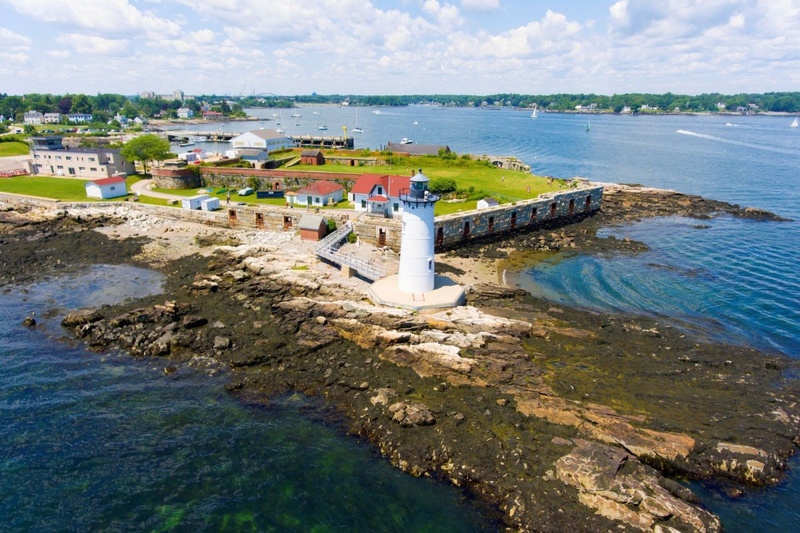 New Castle is nestled at the mouth of the Piscataqua River and is surrounded by stunning scenery and historic attractions. Founded in 1623, New Castle covers approximately 500 acres, just about .8 square miles, and has a population of just a little over 1,000 residents. Although the summer months bring a lot of outdoor activity, time spent in the sun, and a bustling main land, there are many things to do in New Castle, NH in every season. Located minutes from the popular town of Portsmouth, NH, just south of Kittery, Maine and a short drive from New England’s largest metropolitan city of Boston, MA; New Castle, NH have the best of all worlds. Vacation homes in New Hampshire have been a sought-after luxury for a long time - a little getaway from the hustle and bustle of your everyday “normal” life and into the tranquility of vacationland. For some, their inner peace lies at the lake, with glass like waters in the morning, where it’s just you and the beautiful echoes of the nearby loons. Others lie within the snow-covered mountains, with crackling fireplaces and hot cocoa after a day on the slopes. No matter what your bliss may be, a vacation home in New Hampshire has exactly what you’re looking for. New Hampshire is a rare state in regards to the variously different landscapes that can be found there. There truly is a location to fit everyone’s tastes and interests.